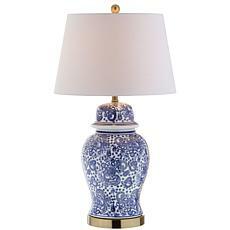 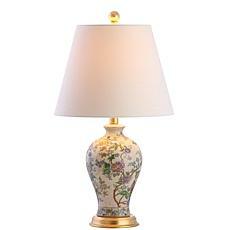 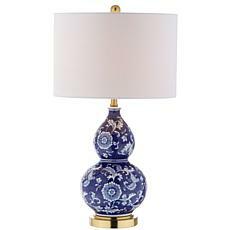 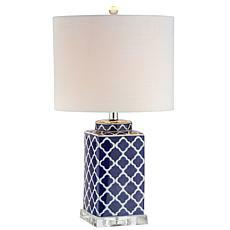 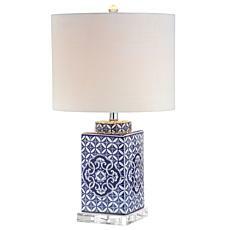 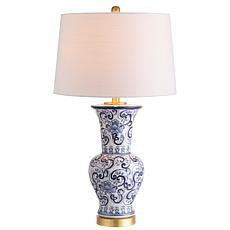 JONATHAN Y Blue and White Lee 27" Ceramic Chinoiserie LED Table Lamp Chinoiserie chic, a blue-and-white floral motif, makes this ceramic table lamp a stylish addition to any space. 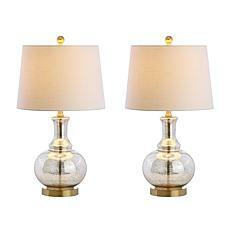 With a brass finish to the base and a finial to match, the double gourd shape will shine in any style of decor. 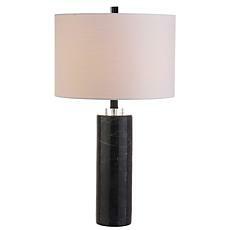 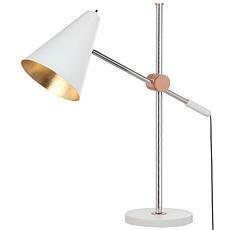 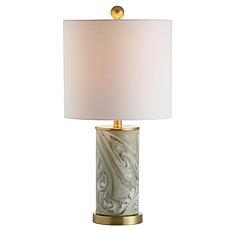 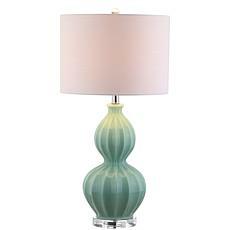 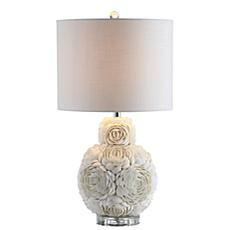 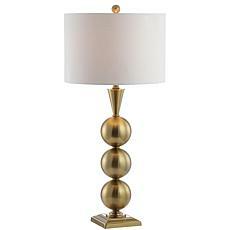 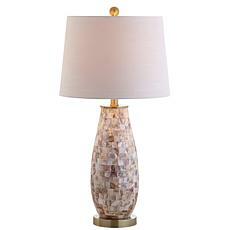 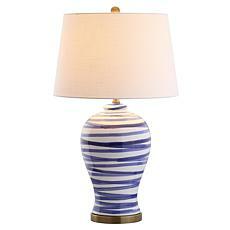 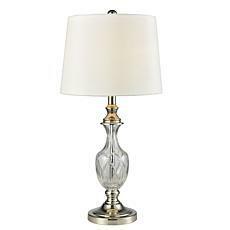 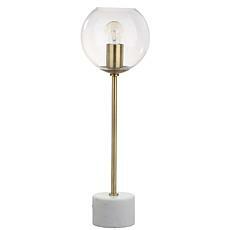 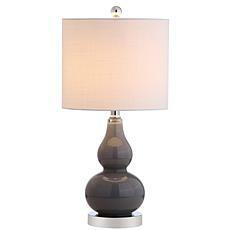 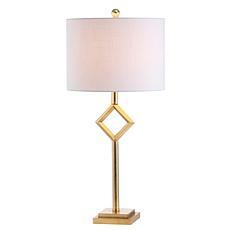 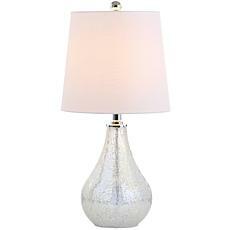 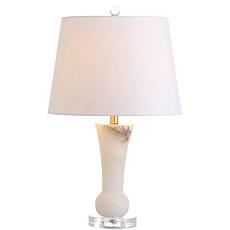 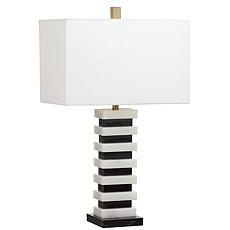 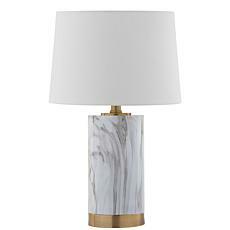 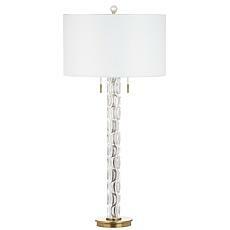 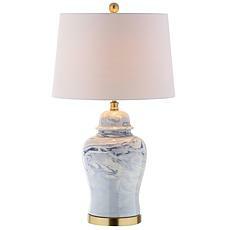 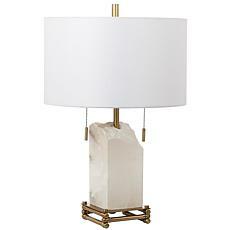 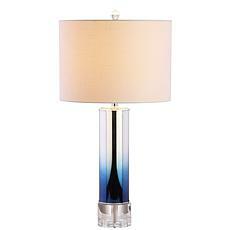 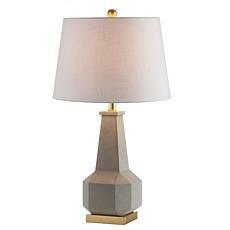 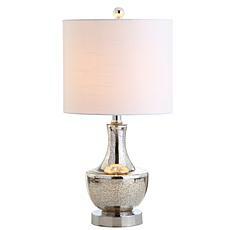 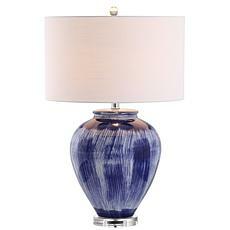 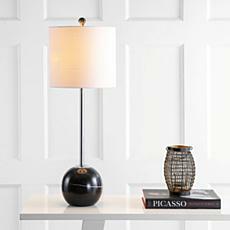 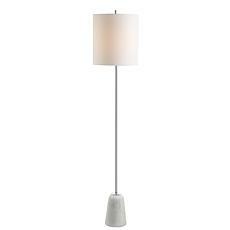 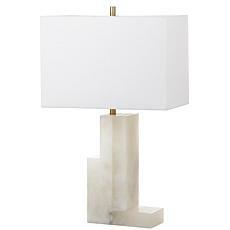 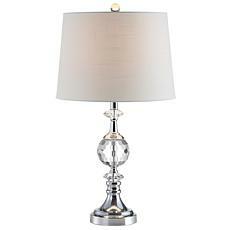 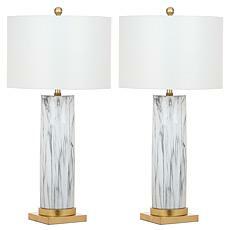 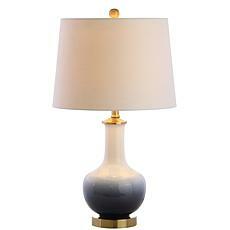 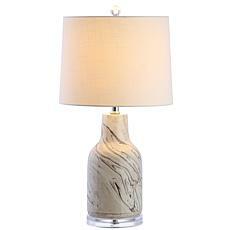 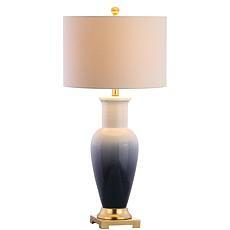 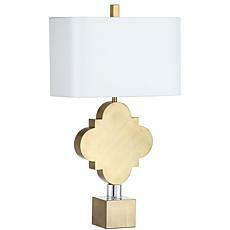 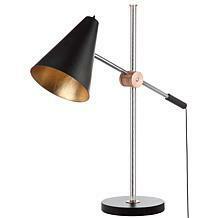 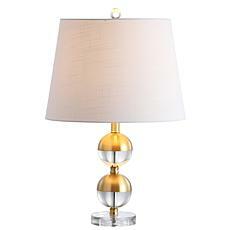 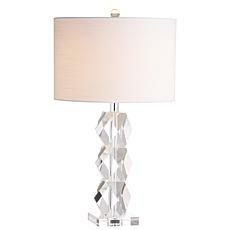 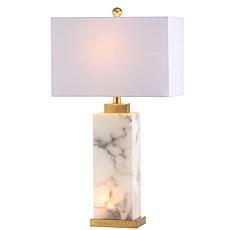 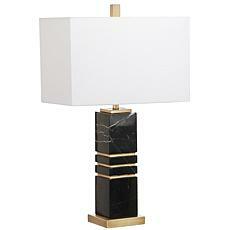 Crafted of sleek white and black marble, this lamp features a brass-colored neck and base that add warmth and dimension. 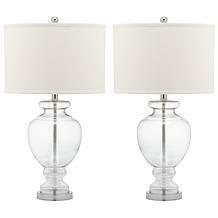 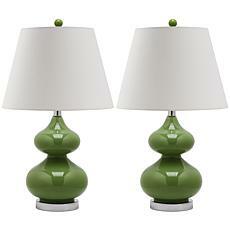 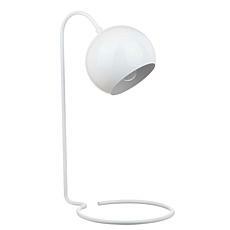 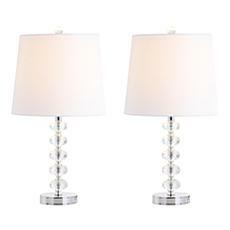 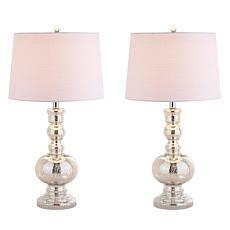 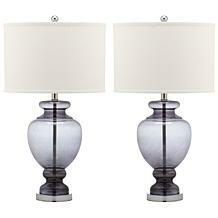 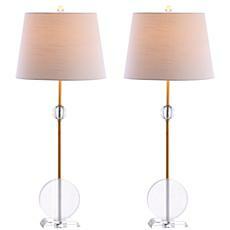 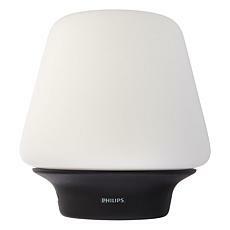 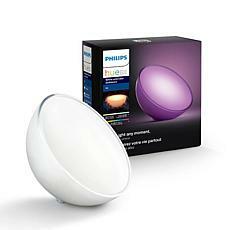 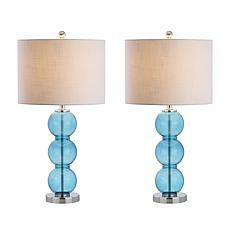 It's ideal for the living room or bedroom as a single or a pair. 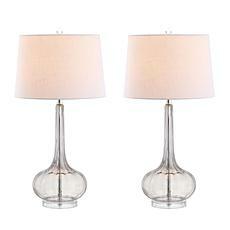 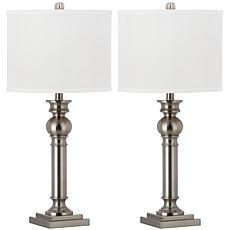 Ideal for any transitional interior, these Argos column table lamps are the perfect blend of classic style and modern magic. 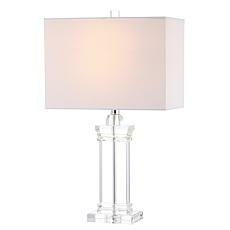 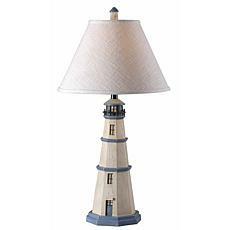 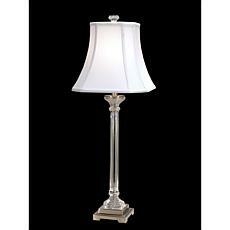 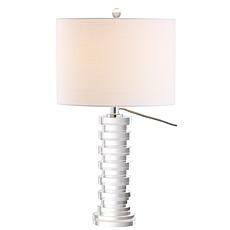 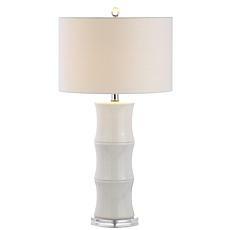 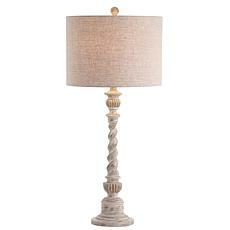 Its traditional metal base blends Greek column style with an updated, chic nickel finish and radiant white cotton shade. 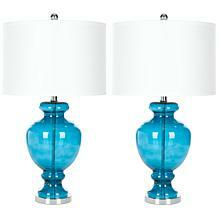 What an easy way to ramp up your home décor style.